Dinosaur skeletons guard the lobby of New York City's American Museum of Natural History. One of the largest and most celebrated museums in the world, the AMNH houses 45 permanent exhibition halls and averages five million visits annually. Unfortunately, because it’s made up of 27 interconnected buildings constructed over the last 130 years, it can also be a really hard place to find a bathroom. We did the discovery work for a handheld navigation device that visitors would rent from the museum. (At the time, very few museums in the world had successfully implemented digital wayfinding solutions.) We focused our attention on the museum's famous fourth floor, home of the dinosaur exhibits. I converted the museum's needs into user-oriented requirements. I led intense visitor and staff research to help further flesh out our understanding of the challenge. I introduced three modes that would support most visitor experiences and based the design of a Flash prototype around the modal approach. 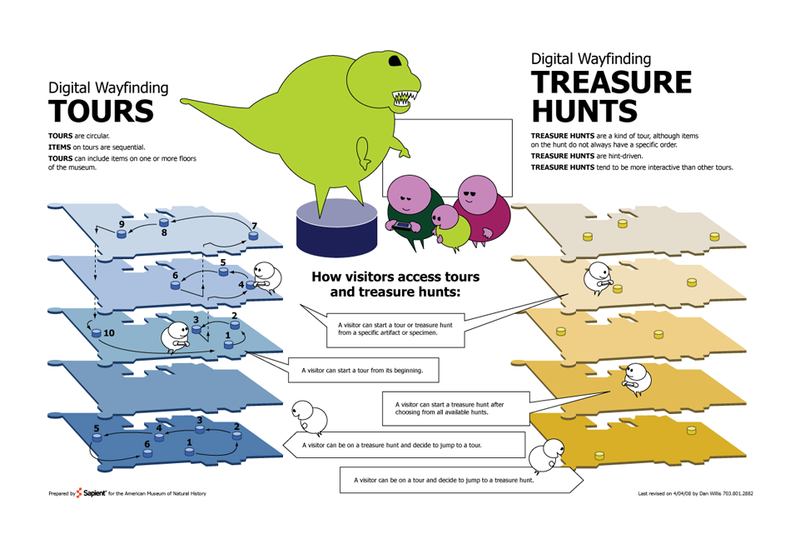 I also incorporated the museum's favorite potential elements, digital tours and treasure hunts. 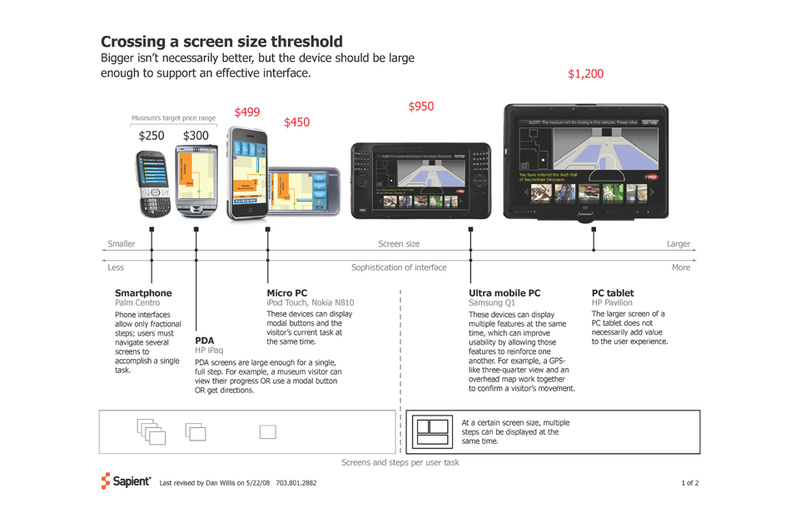 I assessed the handheld devices available at the time and plotted their value along a spectrum that had simple interaction at one end and sophisticated interaction at the other, arguing that only a sophisticated approach would be successful. We provided the materials the museum needed to created an RFP for a handheld rental device, but as that process played itself out, the personal mobile device market exploded. 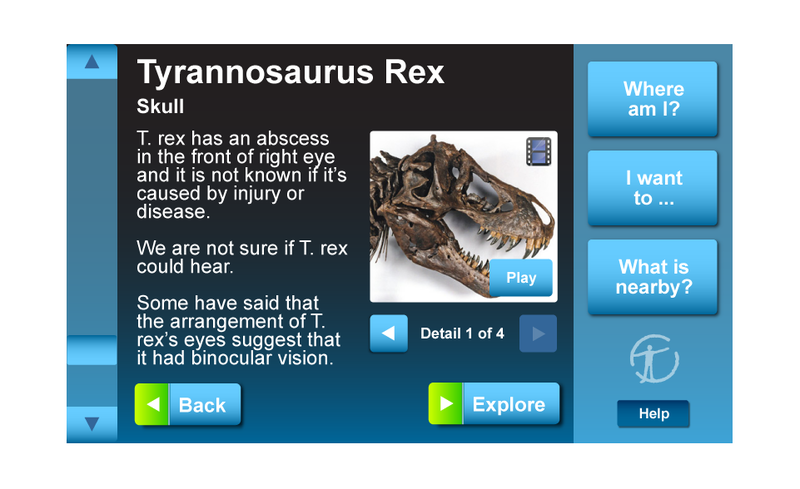 The foundational work I did is now nestled deeply inside the AMNH Explorer iOS app.